The following is adapted from a speech delivered on December 2, 2016, at Hillsdale College’s Allan P. Kirby, Jr. Center for Constitutional Studies and Citizenship in Washington, D.C. The astonishing political campaign of 2016 involved much debate about whether Donald Trump is a conservative. He was not always facile with the lingo of conservatism, and he pointed out once that he was seeking the nomination of the Republican, not the conservative party. Yet there is a lot we can learn from him about conservatism. What is conservatism? It is a derivative term: it refers to something outside itself. We cannot conserve the present or the future, and the past being full of contradiction, we cannot conserve it entire. In the past one finds heroism and villainy; justice and injustice; freedom and slavery. Things in the past are like things in the present: they must be judged. Conservative people know this if they have any sense. What then makes them conservative? First the good news… Two of the state’s Taxpayer Champions are seeking greater protections against tax hikes. Sen. Brian Birdwell of Granbury and Rep. Bryan Hughes of Mineola have proposed amending the state constitution to require a two-thirds majority before the legislature can create or increase state taxes. 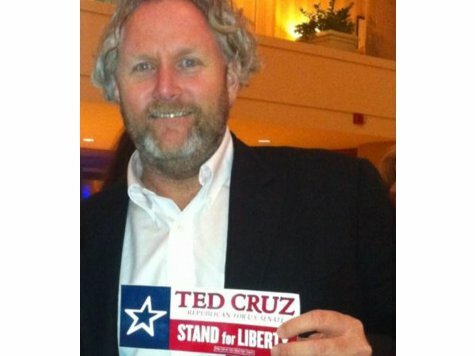 The late Andrew Breitbart saw in Ted Cruz the future of the conservative movement. On paper, Cruz seems like someone out of central casting, perfectly put together to represent conservatism’s future. His father fled oppression in Cuba for freedom in America. 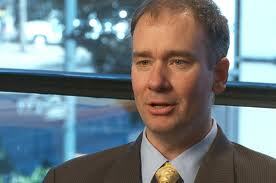 He grew up immersing himself in the works of Frederick Bastiat, F.A. Hayek, Ludwig von Mises, and Milton Friedman, earning scholarships by giving speeches about their ideas. He went to Princeton and Harvard law without losing the common touch. He racked up legal victories that helped defend the Second Amendment and America’s sovereignty against the World Court. This letter is not original work but taken from several sources by a friend. We are making it available because the conservative message is so strong. Sorry if it offends anyone. We believe it is a timely message since the president is going to give a state of the union message calling for more massive government intervention in every part of our lives. Click here to read or download A PLEDGE TO AMERICA. 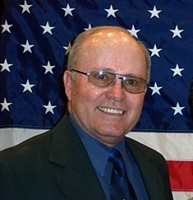 Congratulations to Lt. Brian Birdwell, the new Texas Senator from District 22! We have finally seen a grassroots campaign with a superb candidate win against a well-funded lobbyist. Lt. Col. Brian Birdwell is our next Texas Senator from Central Texas. With 24,531 votes cast, Birdwell got 57.87% while David Sibley got 42.12% (all precincts reported). This wasn’t just sort of a victory; it was a landslide, particularly considering the fact that Sibley had made over $13.6 Million in seven years from his lobbying activities (including the tobacco and alcohol industries), had collected huge campaign donations from his lobbyist friends, and was supported by wealthy Democrat Bernard Rapoport (the biggest contributor to Planned Parenthood Waco). “Crockett” Elementary School – a bit of irony don’t you think? It has been my observation that Mr. Kennedy is a gifted writer. The skill by which he uses his craft as a stealthy weapon against his conservative neighbors in Parker, Hood, Johnson and Wise Counties, is indeed noteworthy. The truth in his columns is frequently so well disguised that only a master investigator could uncover it after removing layers of distortions, misquotes, and half-truths. Kennedy has expressed a desire to write a column about a post on Crockett Elementary School’s lunch program that appeared June 6, 2010 on this blog. Read Socialism is happening all around us: Have you noticed – do you really care? What do you suppose the odds are against Kennedy’s launching a thinly disguised liberal attack against the opinion expressed in that June 6th post? That’s OK! He is free to write anything that pleases him. And it’s OK to have a liberal world view. What’s not OK in my view is any attempt to portray those with an opposing point of view as backwoods bigots. This post first appeared on the blog “Judging Truth – The Conservative Truth About the Liberal Lies”. Yesterday we had our state Primary Elections here in Texas. As I server as an election judge for my precinct, I am very involved in the political process in my county. I will also be serving as a county and possible state delegate to our conventions this year and my wife is serving as the alternates. This primary elections was a mile stone for me, because it was this very primary of four years ago that encouraged me to create this very site. During that primary, I learned what involvement in the political process meant and exactly what was at stake from a very personal point of view. There was quite a bit of contention in the ‘O6 primary for our local government, so much so that it caused a schism between two major Republican women’s groups here in the county. The race got pretty ugly at times and was very close indeed, yet it did turn out a lot of voters. This year’s race was not so contentious, but none less critical for the issues that Texas faces. I was very pleased yesterday to learn that we voted more than double the numbers that we did in this primary four years earlier. Last night, sitting at one of the results parties and sipping on a Michelob Ultra, I was trying to figure out what was so different in this election versus the previous one. Were the issues that different? Not really. Was there more contention between certain candidates this time? No, actually I think there was less, or if it was the same it was more civil at least. So, what had changed to bring over fifteen thousand people to the polls yesterday, when not even seven thousand had come before?